I’ve been trying to contain enthusiastic early visits to new places, as all too often reviews end up saying similar things, which I find boring to read and boring to write. “Once it has bedded in”; “a few kinks to work out”; you know the drill. 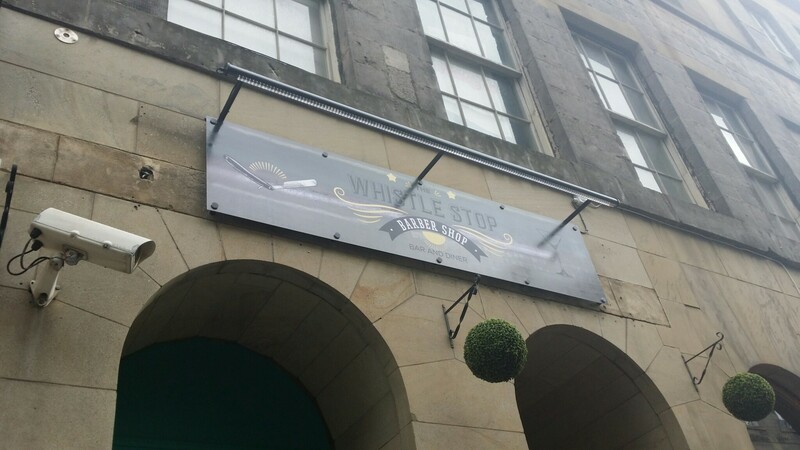 However, even before their official launch, I found myself hungry as I wandered past the Whistle Stop Barber Shop one Sunday so thought I’d give it a spin. Part of my reasoning was given that it’s a cocktail bar, it was better for me to try it when I could actually have a proper drink rather than during the week when it would have been soft drinks all round. Previously home to the disappointing Rascals and before that the grim Aspen Lounge, this has been a bit of a tricky location to make sing. 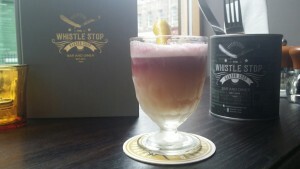 To their credit, the Whistle Stoppers have given the place a stylish remodelling with a smart diner feel to the place. Their menu is filled with American diner classics. There was plenty to pique my interest from chicken & waffles to Philly egg rolls to hot dogs to burgers and even my nemesis, poutine. 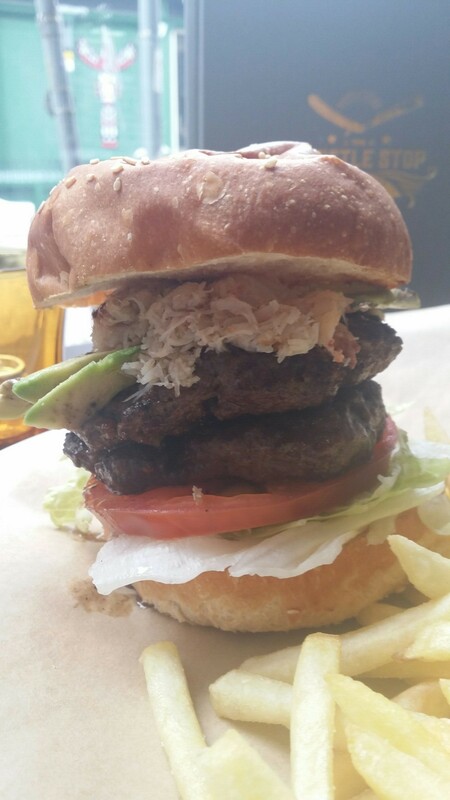 I opted for a burger, choosing the crab and avocado topped Crabby Louis. This came with fries. I matched it with a New York sour. Given I spend a bundle of time in Lucky Liquor and the Last Word Saloon, I generally struggle with Edinburgh cocktail bars beyond there, Bramble and the Bon V. The Whistle Stop, which comes to you from the same folks behind smart New Town bar Tonic, has a drinks menu that holds some really interesting ideas and my drink did look rather smart, but it needed a bit more work to pack a really memorable punch. The burger, on the other hand, was an absolute treat. With two burgers on the bun, it was a towering prospect, but I just about managed to coax it in to co-operating with the shove faceward method. It proved a meaty delight with very well seasoned and juicy burgers for turf, then good light crab sweetness for surf. It was one of the better burgers I’ve had in the city. The fries were slightly more routine, but they added decent substance to round out the meal. So overall, I was impressed with the Whistle Stop Barber Shop. The atmosphere is welcoming and has none of the “too cool for school” feel that the name might conjure up for you. I’d recommend a visit and look forward to going back again myself to explore more of the menu.